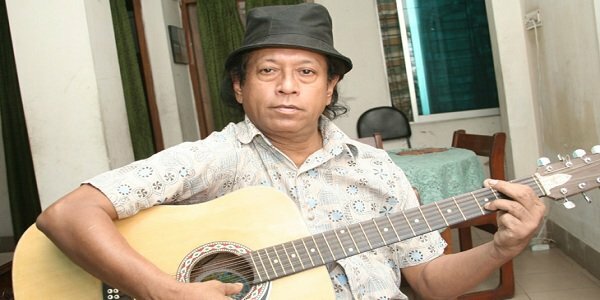 Dhaka – Bangladesh’s noted singer-composer Lucky Akhand passed away on Friday, family sources said. The 61-year old singer, who had been suffering from cancer for a long time, breathed his last at the his Armanitola residence in the evening. Born in 1955, Akhand joined Swadhin Bangla Betar Kendra, a radio station inspired the entire Bengali nation during the country’s 1971 war of liberation against Pakistan. Prime Minister Sheikh Hasina expressed deep shock at the death of the music legend. Bangladesh Nationalist Party Secretary General Mirza Fakhnrul Islam Alamgir also condoled the death. The late singer will be buried at a the Mirpur grave reserved for the martyred Intellectuals. Akhand’s coffin will be brought to Central Shaheed Minar to facilitate people from all walks of life to pay homage to him. Following a funeral prayer at Dhaka University Central Mosque, the singer will be buried in Mirpur, said Asif Iqbal, one of the aides of the singer. He was enlisted as a composer for His Master’s Voice (HMV) recording company at the age of 14. The singer was diagnosed with lung cancer in 2015 and treated in a Thailand hospital. Prime Minister Sheikh Hasina provided him with a fund for his treatment. Lucky withdrew him from the music world for a certain period following the death of his brother Happy Akhand’s in 1987. He returned, however, more than a decade after in 1998 with two albums –Porichoy Kobe Hobe and Bitrishna Jibone Amar.